Above pricing for Eclipse Cappuccino Cup. Price is for 200ml Cappuccino cup. 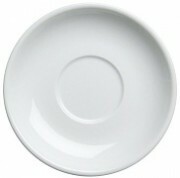 Available with matching saucer QCCRCPW420 at additional cost. At 200ml capacity, the Eclipse Cappuccino cup is great for general use. 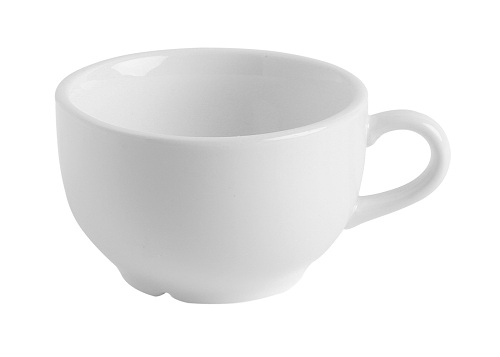 As with all our Café Range, the Eclipse Cappuccino cup follows the classic white style. It has a large enough space to print your logo, brand or message on and can easily be used for promotional use in cafes and restaurants or for gifts and giveaways. The Eclipse Cappuccino cup is durable and well-made and can easily handle being used over and over again. The classic style makes the Cappuccino cup a great promotional cup or gift item for hampers and giveaways. The Eclipse Cappuccino cup is designed to be used with the Eclipse White saucer with both being easily printed on to suit your marketing and promotional needs. Utilising both together will provide a complete promotional branding opportunity.